In an era when African Americans sat at the back of the bus and were banned from “Whites Only” establishments, the so-called Chitlin Circuit flourished. Driven by the entrenched racial segregation of the Jim Crow era, the circuit gave comics like Redd Foxx and Richard Pryor their first shots at infamy and it provided playwrights like August Wilson with an engaged audience. It also gave birth to rock ‘n’ roll music. 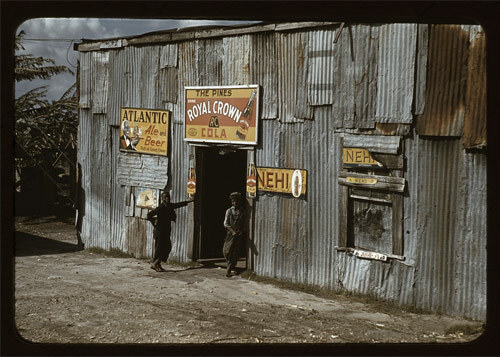 And in the South, that’s exactly where black musicians played: hole-in-the-wall clubs, juke joints and roadside shacks. 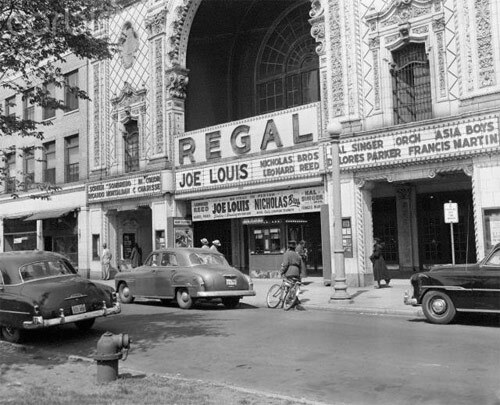 However, even though much of the circuit was located in the South, its origins can also be traced to big northern cities where pockets of African-Americans had migrated: The Apollo Theater and the Cotton Club in Harlem; the Regal Theatre in Chicago; the Uptown Theatre in Philadelphia; the Royal Theatre in Baltimore; and the Fox Theatre in Detroit were all considered a part of the network. According to Ali Colleen Neff, assistant professor of Africana Studies at Virginia Tech and author of “Let the World Listen Right: The Mississippi Delta Hip-Hop Story,” the Chitlin Circuit provided black musicians and performers, locked out of the mainstream white music industry, safe venues and an audience willing to go beyond convention. Black musicians could do things in front of a black audience that they couldn’t do in front of a white one. As they transformed southern rhythm and blues into a sound no one had ever heard, black performers had juke joints jumping as they swiveled their hips, growled into their mics and pounded their instruments. It was on the Chitlin Circuit in the 1950s and '60s that Bo Diddley fine-tuned his famous Bo Diddley beat, which is widely credited as the rhythm that makes up the backbone of rock ‘n’ roll music. While the syncopated beat, made up of three strokes/rest/two strokes (bomp-ba-domp-ba-domp, ba-domp-domp), is firmly rooted in African American slave culture, it can also be traced to drumbeats of the Yoruba and Kongo cultures. Bo Diddley - "Hey Bo Diddley"
Diddley was not shy about experimenting on the circuit. He had women in his band; he played a rectangular guitar and included unconventional instruments like electric violins, maracas and washboards. And that famous beat went on influence everyone from Buddy Holly and Elvis to Bruce Springsteen and The Smiths. However, despite his massive impact, Diddley could never quite cross over to white audiences. George R. White, author of "Bo Diddley: Living Legend," wrote: "Diddley remained firmly rooted in the ghetto. Both his music and his image were too loud, too raunchy, too black ever to cross over." Even though white teenagers played his records on jukeboxes, radio station deejays were less enthusiastic. As were TV and movie execs. While black musicians were able to innovate while touring the circuit, many realized that the real money was made playing to whites. Little Richard, who had worked the circuit for years, at one point touring in drag as Princess Lavonne in Sugarfoot Sam’s Minstrel Show, achieved breakthrough success in 1955 with “Tutti Frutti.” The hit was a sanitized version of a dirty ditty that he performed often on the circuit: "Tutti Frutti/Good booty/If it don't fit/Don't force it/You can grease it/Make it easy." Little Richard knew those lyrics just wouldn’t fly in front of a white audience. Much to the chagrin of their scandalized parents, white teenagers went crazy over flamboyant, pancake-makeup-wearing Little Richard. His more-wholesome adaptation of “Tutti Frutti” sold more than a million copies. Chitlin Circuit frontmen like Little Richard were instrumental in spreading rock ‘n’ roll to mainstream white America, but hardworking sidemen also had a part to play. The most successful to cross over was Jimi Hendrix. After his discharge from the Army in 1962, Hendrix earned a living as a sideman for a few years, working for greats like Little Richard, Sam Cooke, Ike and Tina Turner, Wilson Pickett and the Isley Brothers. By 1964, he was playing lead guitar for the Isley’s, recording the song "Testify.” Hendrix also played guitar for their single "Move On Over and Let Me Dance.” However, he left the Isleys, and the circuit, for good in 1965. It was in the circuit that Hendrix was able to refine the style that made him famous, including playing solos with his teeth and behind his back on a right-handed guitar turned upside down and restrung for a lefty. He also sharpened his guitar-playing skills and perfected his sound, which was built on a foundation of rhythm and blues. The mainstream success of artists like Little Richard and Hendrix, coupled with the Civil Rights movement and desegregation, led to the Chitlin’ Circuit’s downfall. While it still survives today, featuring predominantly R&B acts like Bobby Rush, Clarence Carter and Denise LaSalle, it’s nothing like it was in its heyday in the 1940s, ‘50s and ‘60s. About the Author: Tequia Burt is a veteran writer and editor based in Chicago. Previously, she was editor in chief of FierceCMO and news editor of Crain's BtoB magazine. Tequia earned her BA from Grinnell College and MSJ from Northwestern University’s Medill School of Journalism.